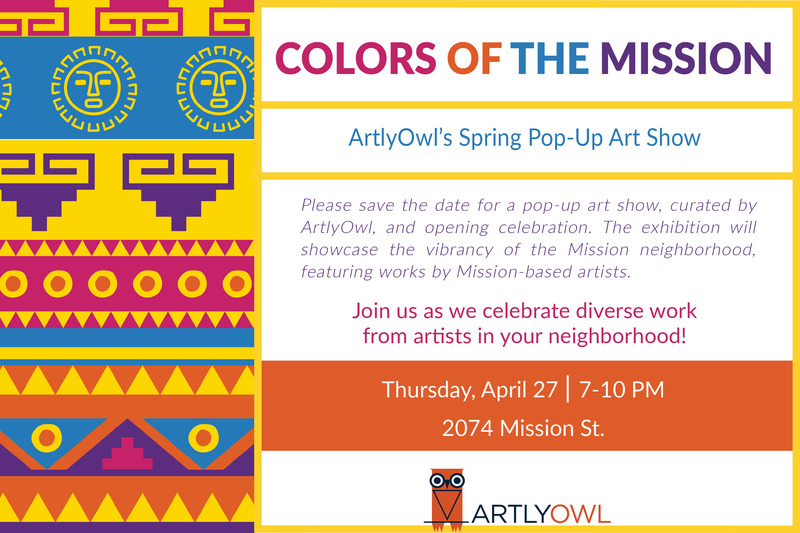 SAN FRANCISCO, CA -- San Franciscans are invited to the opening of the ArtlyOwl Pop-up show, “Colors of the Mission,” on Thursday, April 27th from 7 to 10 PM in the Mission District. The event, which is free and open to the public, is organized by San Francisco art startup ArtlyOwl. It will showcase the vibrant culture of the Mission neighborhood, featuring work by five (5) San Francisco-based painters and print-makers who reside or work in the Mission, as well as entertainment by local musicians. The event is free and open to the public. RSVP required. Pop-up show is open to the general public every Thursday (6-9 PM), Saturday/Sunday (1-4 PM) through June 1st. 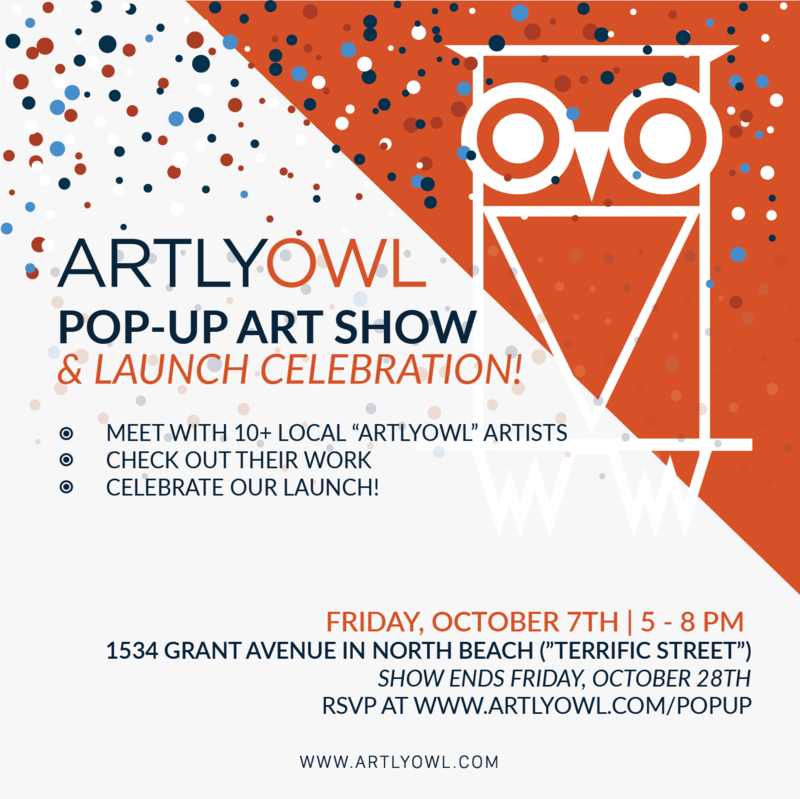 SAN FRANCISCO, CA -- San Franciscans are invited to the opening of the ArtlyOwl Pop-up show at “Terrific Street” in North Beach on Friday, October 7th from 5 to 8 PM. The event, which is free and open to the public, is organized by art startup ArtlyOwl and will feature work by sixteen (16) San Francisco-based painters and street artists. The pop-up show will run until Friday, October 28th.